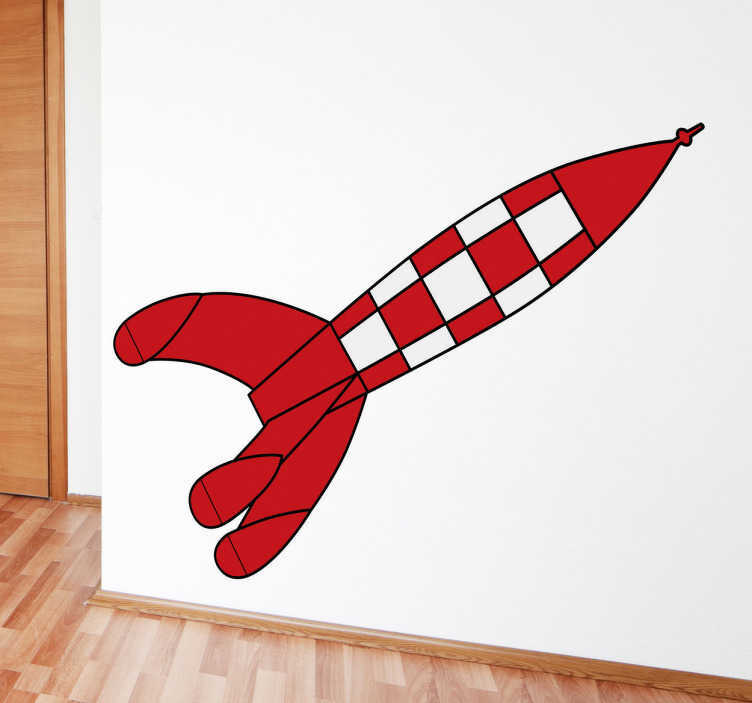 Vibrant red and white rocket wall sticker to add a stylish and colourful touch to any child's room, teen's room or dining room, from our cartoon wall sticker. This simple but beautiful design shows a checkered rocket blasting off into outer space on an adventure! Use this on the empty walls of your child's room and let them imagine that they are on their way to a space adventure. Available in a wide range of sizes and leaves absolutely no residue upon removal.